Welcome to Browne Summer Camp! From a three-year-old to a 15-year-old, there is something for every child at BSC. Campers come back every summer because they can’t wait to see their friends, make new ones, and have a ball! With their counselors and friends cheering them on, campers are excited to try every new activity and opportunity. When summer ends, BSC campers leave with childhood memories that last a lifetime. Browne Summer Camp is more than just a camp, it is a community. Browne Academy offers a wide variety of day and specialty camps throughout the year. Campers do not need to be currently enrolled at Browne Academy to participate. Our Day Camp operates from 8:00 AM to 4:00 PM daily (with Morning and After Care available), and includes a variety of activities to meet the interests of our campers, as well as challenge them. We are confident that your child will enjoy the activities that we offer: daily swimming with lessons taught by our certified lifeguards, art, sports, music, nature, dance, technology, and more. Our staff uses an effective blend of gentle encouragement and support to help each and every child achieve his or her own potential. You will see your child’s self-confidence and pride – the best gifts that we can give our children! Please note that all preschool-aged children must be toilet trained. Also, a camper must turn 3 years old before his/her first day at camp. Celebrate the start of summer by creating some classic summer decor for our campus and participate in sensational summer games! Camp is all about learning new things with new friends. Join us this week to learn some invaluable (in our opinion) life skills like: cooking (smore's), construction (fort making), navigation (treasure hunts), homemaking (plant and animal care), and everything else it takes to succeed (have fun) at Browne Summer Camp! Join us as we celebrate everything we love about this amazing counrty: freedom, democracy, diversity, and a delicious BBQ! Buckle up. The flux capacitor is fired up and when we hit 88 MPH there is no telling where or when we might end up! Ancient Egypt? Prehistoric Pangea? 1000 years into the future? Just keep swimming, just keep swimming, but don't go toward the light! Together we will explore our amazing oceans and make a splash as summer really starts to heat up! The games in our "Out of the Box" room have gone out of control! This week, campers will make and play life-size board games! Join us for special performances showcasing your talented children in our end-of-summer spectacular! Campers and their counsleors direct and star in their own music videos! Don’t want summer to end? Join us for BSC Encore, August 12-16. See below for more info. Specialty Camps are designed to give campers an opportunity to explore their interests further or learn new skills through field trips, special visitors, and intensive skill building. Each camp is catered to specific age groups. Please note that Specialty Camp participants will enjoy a unique schedule of activities that differ from the Day Camp. Campers may have access to Activity Day, Friday Assemblies, and pool time, if their schedules allow. Think June can’t get any hotter? It can and does this summer with Pottery Playground! Fire up your imagination with Ms. Val and Ms. Kate and join us for a week-long art-venture! We’ll explore & tackle many art styles and learn fun-tastic techniques to bring them to life, including mosaics, batik, & fired arts (pottery painting & fused glass). We’ve added 2 new exciting art forms to our camp – mosaics and batik! In addition to the fired arts of pottery painting and fused glass, you’ll learn the ancient Indonesian art of batik by using safe dye-resist methods to create vibrant textile creations that will be wearable, usable or ready for display. Can you say art-rageous? We’ll also work with multi-colored tesserae (bits of glass and clay tiles) and piece together gorgeous mosaics projects! Mosaics are like fancy puzzles, where you build eyepopping designs, step-by-step, with tiny bits of tile, or “tess.” We’ll lead you through every step -- from designing layout to cutting tiles to grouting your final piece! A wild & wacky arsenal of supplies will fill our campers' art toolbox. In addition to the paintbrush, kids will use everything from fuzzy yarn & tape to straws, soap bubbles & shaving cream when creating their masterpieces. Come to camp with your creative hat on tight and be ready to take artistic risks! You’ll have the hottest home art gallery in the neighborhood! All products/tools used are non-toxic and safe for the smallest hands. Calling all martial artists! Master Nat is back and has created a program that combines aspects of modern and traditional martial arts training with fun games and entertainment. Campers will improve their skills in Tae Kwon Do while learning the fundamentals of Wushu, Tai Chi, and Chin Na. Activities include conditioning, flexibility and strength training, self-control, speed and accuracy training, board breaking, demonstrations, joint locks and escapes, competition training, and stage combat. No experience is necessary – just bring a positive attitude and watch your confidence soar! Parents, make sure to come to our demonstration on Friday afternoon as we show off our skills for the entire camp! Your kids will not be asking that from the back seat! This camp contains amazing fun adventures. Campers will search for fossilized shark teeth as they frolic in the Chesapeake Bay, explore the caverns at Luray, and tubing the Shenandoah River. During the camp, we will take adventures to many local spots. Buckle up for a fun ride! Junior Drone Pilots is specifically designed for campers with little to no experience flying drones. We use the safest and most reliable drone products on the market, including Parrot﻿TM﻿ drones for enhanced safetly and most of alll, fun. Campers will learn the basics of drone technology and safety before taking to the air. Through the use of iPad flight simulators and clear instructions on basic flying amneuvers, young Drobots' pilots will experience a program filled with excitement, gmaes, challenges, and learning. Campers work all week long to prepare for the most enjoyable part of the week: the Ultimate Dorne Games that include events such as: Tic-Tac-Drone, Drone Darts, Duck-Duck-Drone, and more. All campers go home with interactive workbooks and plenty of Drobots Company keepsakes and trinkets so the memories last long beyond the summer. This camp is brought through partnership with Drobots. Ultimate Drone Obstacle Challenge is specifically designed for both the novice and experienced drone enthusiasts. This week is filled with pure action as students enjoy one of the world’s fastest growing sports, Drone Obstacle Racing. Campers will first learn about the basic safety of drone flying and the history behind drone racing as a sport. From there, campers will progress through various skill challenges and learn how to perform various exercises and maneuvers to become familiar with the drone’s speed and agility. Campers will use iPads and remote controls to navigate the drone through short and long obstacle courses. Participants will also create the design and help build the obstacle course in preparation for the last day’s final activity and competition. All campers go home with interactive workbooks and plenty of Drobots Company keepsakes and trinkets so the memories last long beyond the summer. Drone safety and the social responsibilities of flying drones are included in this program. This camp is brought through partnership with Drobots. StemQuest unplugs campers from the computer screen in this action-packed, story-based program. Throughout the week campers will be constantly on the move as they experiment and play. StemQuest has intentionally extracted the wide-array of exhilarating challenges and mysteries from popular gaming apps and turned it all into a live adventure. Campers will use age-appropriate rovers, bots, drones, and autonomous creative technology to jump over walls, push down obstacles, lift up boulders, and navigate through galaxies. Teams of campers work together in indoor, outdoor and open space "worlds" throughout the week. In doing so, campers utilize life skills such as: collaborative problem solving, design, and curiosity, to outwit, out-build, and out-smart the program instructor, The Wizard. This camp is brought through partnership with Drobots. This program is filled with pure action as students enjoy one of the world’s fastest growing sports, Drone Racing. Campers will first learn about the basic safety of drone flying and the history behind drone racing as a sport. From there, campers will progress through various skill challenges and learn how to perform various exercises and maneuvers to become familiar with the drone’s speed and agility. Flight squads post up against one another in friendly competition when they race themselves and the clock. Students first maneuver the drone through creative obstacle courses before taking on the challenge of flying for speed. Participants contribute fully in this program as they create the design and help build the obstacle course in preparation for the last day’s final activities and competition.. All campers go home with interactive workbooks and plenty of Drobots Company keepsakes and trinkets so the memories last long beyond the summer. Drone safety and social responsibilities of flying are included in this program. This camp is brought through partnership with Drobots. Cupcakes are all the rage and it's a trend that's clearly here to stay! ﻿If you've ever been curious about how the pros make those cupcakes so precious and ornate, and if competition is your middle name, then this is the week for you! We'll spend three days on cupcake basics-measuring, mixing, baking, frosting, and then finish the week with two days of baking battle! Small teams will face off with one another to compete for the title of " Best Cupcake". May the best cupcake win! Join fellow athletes and gamers for an action-packed week of Sports and Games! Boys and girls of all levels are welcome. Back by popular demand, Water Adventures is a great way for your camper to beat the heat! This week will include trips to four local water parks (Splash Down Water Park, The Water Mine Swimming Hole, Pirate's Cove Water Park, and Great Waves) and also an all-day adventure to Six Flags Amusement Park! As a sure hit to any thrill-seeking camper, we will ride the rides in both the amusement and the water park. Don’t want camp to end? It doesn’t have to! BSC offers fun and engaging options for campers ages 3-13, during the week of August 12-16. The hours are 8:00 AM - 4:00 PM. Morning Care starting at 7:00 AM will be available as well as After Care until 5:00pm. Sad that an amazing summer at BSC has come to an end? Don’t fear – there is a week of Encore Camp. Each day, we venture off campus on exciting field trips. Planned activities include the Baltimore Aquarium, the Marine Corps Museum and Funland in Fredericksburg, tubing on the Shenandoah, donuts at Sugar Shack, Six Flags Amusement Park, and finally, a refreshing day at a local water park. Pack your bags for amazing day trips! Campers, accompanied by counselors and assigned to age appropriate groups, will experience a week of specialty camp opportunities. Visit the pool two times for swim lessons and free swim led by our team of certified lifeguards. Cook Around the World under the expert guidance of vendor Tiny Chefs. Campers will cook up some fabulous flavors from Italy, India, Vietnam, Mexico, and France. A new country each day! Exercise and learn discipline and control from Master Nat in daily martial arts sessions. Hectic schedule? Don’t worry! For those families who must juggle many responsibilities, we offer childcare programs before and after camp. Morning Care is 7:00 - 8:00 AM and After Care is from 4:00 - 6:00 PM. Campers will participate in art activities, inside games, and outdoor play and have an afternoon snack. It is recommended that campers register early so that space is reserved. Sign up for Morning & After Care is included during the initial online registration process. You may also use our Drop-In feature for both Morning & After Care on a day to day basis. The Drop-In cost is $15 per hour or fraction thereof. Please contact the camp office in advance to use the Drop-In feature. We will do our best to accommodate your needs, however space is limited. *During Encore Week (Adventure a Day and Triple Play Days), After Care is only available until 5PM. Please contact us at auxiliary@browneacademy.org with questions. The CIT program is a professional development opportunity for rising grades 9-10. It prepares youth for employment, secondary and post-secondary education, and social situations. It will focus on what it takes to be a successful camp counselor and will create the foundation of soft skills. These skills are indispensable when acquiring employment, sustaining it, and progressing professionally. Participants will have direct access to the inner workings of Browne Summer Camp and will learn from the staff. This summer program allows this age group to develop professionally, have fun with their friends, and be a role model for younger campers. The CIT Director is Ms. Tess Madrid. This will be her fifth year directing this program, and her 15th year as a BSC staff member. Ms. Tess was a Group Counselor and PS Supervisor prior to her current role. She has been a part of the BSC family since she was a camper at the age of 8 and was a CIT and Assistant Staff program graduate. The CIT application process will open December 10, 2019. The deadline to apply is March 22, 2019. This is a competetive program. Submitting an application does not guarantee admittance. This program follows the BSC schedule, 8:00 AM - 4:00 PM daily, from June 17 to August 9, 2019. To maintain high program standards for summer 2018, BSC will be limiting the number of participants each week. If you have any questions regarding these programs, please contact Kara Schutter, kschutter@browneacademy.org. Offered to rising grades 9-10. Learn to be a responsible and compassionate counselor. Manage “Canteen,” the camp’s snack shop. Improve verbal and written communication skills. Weekly one-on-one meetings with the CIT and Assistant Staff Director. Complete the summer with a portfolio that will encompass personal and professional goal. Cost: $318 weekly program fee, Week 3 is $191. The Assistant Staff program is open to high school age students, 10th-11th grade. 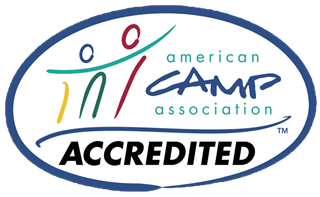 This is a volunteer program that enables its participants to recieve hands-on training in how camp is run safely and productively. One of the main goals of this program, enables camp administration to see first-hand who is eligible for a paid position (eligible at 16 years old). This is a competetive program and space is limited. Please contact Kara Schutter, kschutter@browneacademy.org, with any questions. Open to all Browne Summer Campers and Browne Academy students, rising kindergarten – grade 8. Sessions take place during the 8:00 AM-4:00 PM camp day and are available during Weeks 2-7 of camp. Sessions are available at 30, 45, and 60 minute increments. Designed to enrich and/or remediate your child’s academic skills and performance throughout the summer months. Our degreed teachers, many of whom are Browne Academy faculty, work with you to design an individual program for your child. Tutoring is available in the following subject areas: reading, writing, math, literature, handwriting, language arts, creative writing and study skills. Parents will receive written reports from tutors after each session. Register online to indicate your interest. The program coordinator will contact you to arrange the details. Private Swim Lessons are taught by lifeguards trained in Red Cross Water Safety Instruction. This curriculum teaches proper and safe swimming techniques to all ages and levels of proficiency. Lessons are available to all campers age 4 and above. Private Archery Lessons are taught by USA Archery certified instructors. Lessons are available to campers rising grades 1-8. Archers will learn proper shooting technique with Olympic style recurve bows on our archery range. Campers are welcome to bring their own bows or use our in-house equipment. Private Music Lessons are taught by Brittany Brandt and Ms. Danielle Brosious, Browne Academy’s music faculty. Lessons are available to campers rising grades K-8. Lessons offered include piano, voice, guitar, trombone, french horn, trumpet, flute, violin, viola, cello, clarinet, baritone, oboe, saxophone, and ukulele. Private Lessons are 30 minutes in length and take place at the end of the camp day: 4:00 - 4:30 PM or 4:30 - 5:00 PM. Online registration links will be sent out to registered families by May 20, 2019. Browne Summer Camp is dedicated to providing a memorable experience for every camper in a safe, fun-filled, and caring environment that fosters friendship, and mutual respect for one another. Every effort is made to offer each camper activities that will enhance his/her self-esteem, provide opportunities for skill development, lifetime interests, as well as nurture friendships with fellow campers and staff. Our well-trained staff is prepared for the summer’s programs. All staff are required to undergo an extensive interview and screening process including FBI and VA Social Services background checks. Staff members are required to participate in an orientation program and continue training throughout the summer. In addition to the group counselors, we have a staff of certified Pool Director and lifeguards at the pool, trained activity specialists, a Health Officer/RN, and a complete office staff during the summer months.  Browne Summer Camp is fully accredited by the American Camping Association (ACA), which requires conformity to strict standards of excellence in the areas of program, site and facilities, personnel, health care, and aquatics. We must also pass inspection by the Commonwealth of Virginia with regards to health, emergency procedures, and licensing. Steve has been a part of the BSC family since 2005. From being a Group Counselor, Lifeguard, and Pool Director, Steve knows the ins and outs of camp. He is able to cultivate his experiences into being an active and involved Camp Director. If you want to know who Steve is on campus, look for the guy in the Hawaiian shirt and visor! For anyone who has ever been a camper or staff member, they know there is no Browne Summer Camp without Ms. Janet. With more than 25 years at BSC and the Browne community, Ms. Janet exemplifies the true mission of summer camp. For any parent feeling nervous sending their child to camp for the first time, Ms. Janet will be here to ease any worries. She is our camp mom who makes every camper feel loved, important, and part of the Browne family. WARNING…when Ms. Janet sees you, she will hug you. Kara first joined the BSC family in 1999 as a Group Counselor. She then returned in 2006 as the CIT and Assistant Staff Director where she made it her mission to have her participants understand the honor of being a part of someone’s childhood. The memories that campers have of loving and caring counselors makes an impact that lasts forever.